If your sprinkler system contains a Victaulic FireLock NXT® Device (Series 768 or 769) and the system is installed in an area where the water supply conditions are such that calcium or other mineral deposits could develop, you need to inspect the current conditions of the actuator for restriction of the air feed and auto vent openings. The minerals present in the water may accumulate and cause a delay or an inoperable condition, preventing proper function of the sprinkler system. If you own or service a Victaulic FireLock NXT Series 768 Dry Valve, click here to read a technical service bulletin. 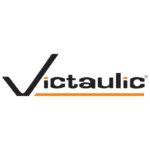 If you own or service a Victaulic FireLock NXT Series 769 Deluge or Preaction Actuated Valve, click here to read a technical service bulletin.